Welcome to the 219th Inspire Me Tuesday. I am so thrilled you are here. I look forward to seeing everything you guys are up too and you always inspire me. Here are a few links from last week. 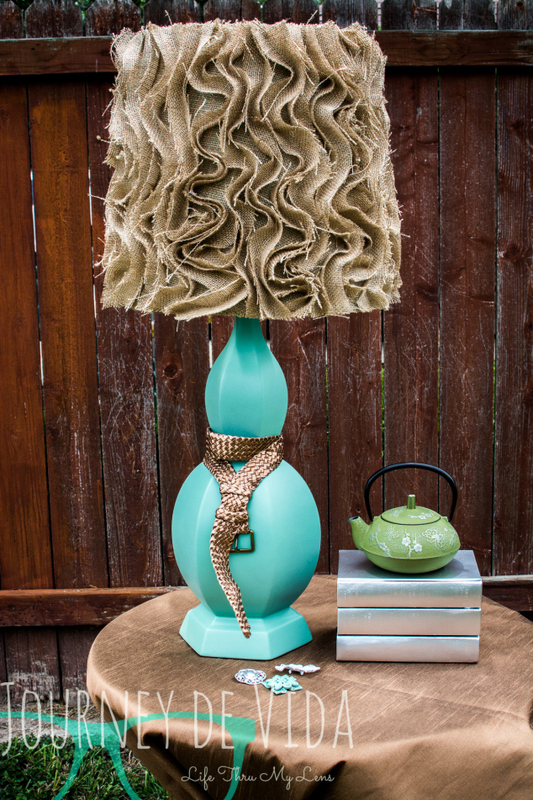 The right lamp is not always easy to find, so make your own. Love this one that Journey De Vida rehabbed. She also rehabbed the shade and how about a belt as an accessory. Love this. 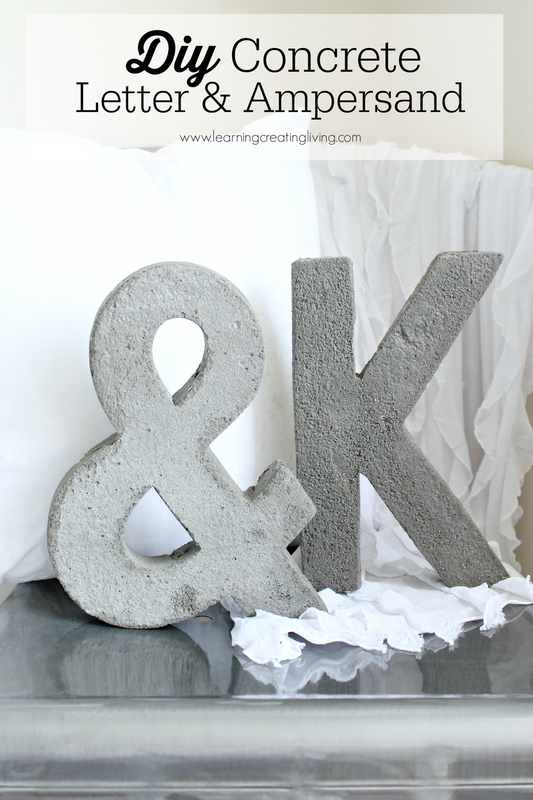 Learning, Creating, Living is on a roll with her concrete projects. Don't you love these letters, she's been making planters too. Be sure to see all of her tutorials, such a fun idea. 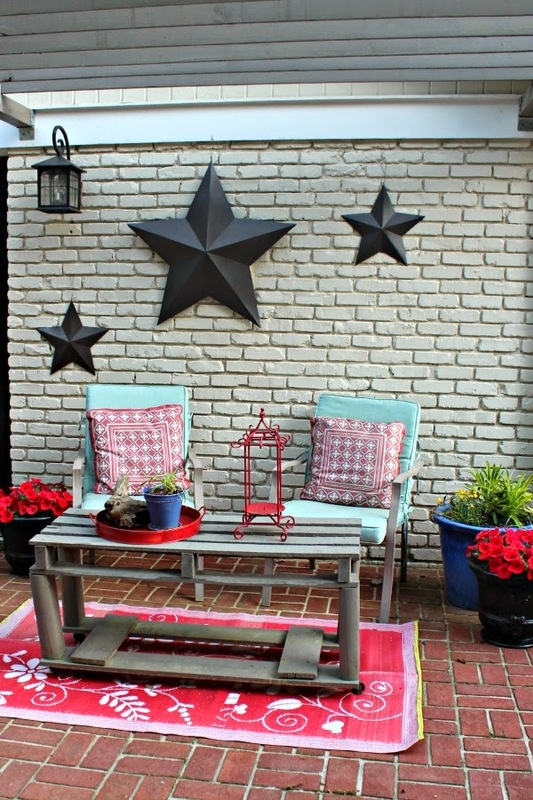 Southern State of Mind did a completer makeover of her courtyard and turned it into this fabulous space. Now this is the place to be. Seems like a lot of you are thrilled with the warmer temps and are creating fabulous outdoor spaces. Southern Seasons redid her porch for summer. Don't you love how she uses the crates as end tables and storage. At Home With The Barkers shared her beautiful glazed cabinets. I am drooling over that ceiling too. My Kentucky Living gave us a peak at her kitchen makeover. I love, love, love it and you really need to go see all of it. I think we all love a fabulous claw foot tub and you won't believe what this one looked like when 702 Park Project started working on it. Great tutorial. She also has another fabulous one for the master. Thank you for the party Marty! Thanks again for hosting each week!! Thanks for hosting the blog party - I really appreciate it! Have a wonderful and memorable week. Thanx for hosting Marty! Happy to be here this week. Hi Marty, hope you're having a wonderful day! Thank you for the party, I appreciate you. Thanks so much for the party Marty! Always so appreciated! Thanks Marty - Appreciate what you do! Thank you, dear friend, for hosting Inspire Me Tuesday each week!!! Thanks so much, Marty! Love the inspiration. P.S. Come by Drop It or Swap It and link up if you can! Thanks for hosting the party and thank you for featuring my front porch. Have a great week! Marty, some great projects you've sifted through and featured for us - thank you for being such a good hostess. I'm happy to join each chance I can. Have a great week. Beautiful features Marty! I am obsessed with kitchen makeovers these days! Thanks for hosting! Beautiful features. 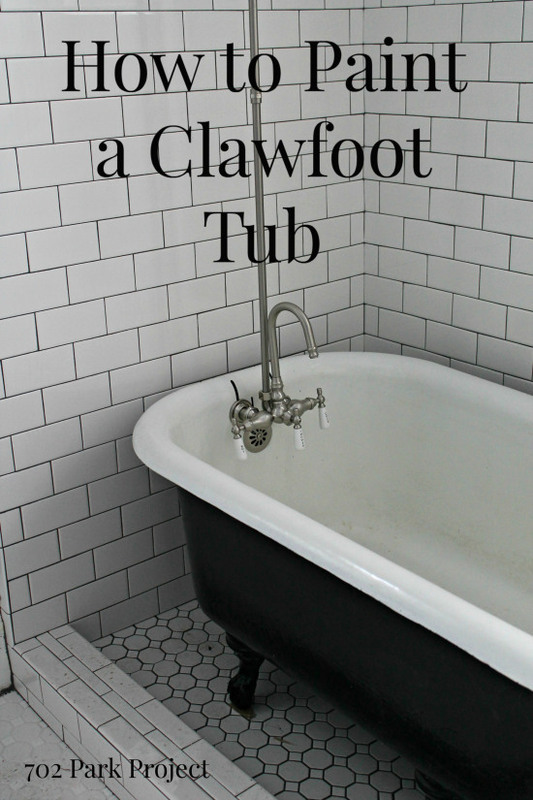 Oh how I would love a claw foot tub. Thanks for hosting your fun party. Thanks so much for hosting Marty! Hope you have a great week. Great picks, Marty!! Thank you for hosting each week. Beautiful features this week!! Thanks so much for hosting! Thanks Marty for hosting, glad I was able to link up this week. :-) I hope you have an awesome week. Wonderful party, Marty, thanks so much for hosting. Many thanks for hosting and I hope you have a happy Tuesday! Thanks so much for hosting, Marty! I hope you have a great week. So glad to be able to join again marty! Thanks for hosting! Thanks Marty for Inspire Me Tuesday, Love joining in. Love the features, always. So happy to be linking up! Thanks so much for hosting, Marty! Great party as always. Thanks for hosting, Marty. I am going to check out how to paint a tub. We went with a new one because I had no idea how to get an old one freshened up. It looks like a great party. Have a great week. 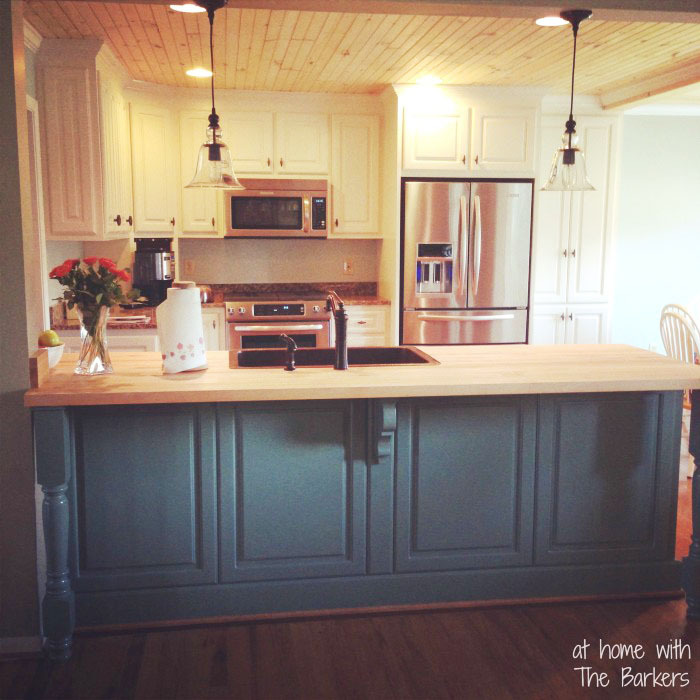 Hi Marty - Such fun to take a peek at the kitchens you featured this week as that's what I'm sharing today! Thanks for hosting dear friend. Thanks for hosting, Marty. I'm late linking up so I'll be back to visit the links tomorrow. I'm fashionably late to the party LOL . Thank you for hosting! Marty thank you so much for the party. As always your features are filled with inspiration. Wishing you a wonderful week! MARTY! You really are such a sweetie! Thanks so much for featuring my Outdoor Courtyard! I am so so appreciative and always love linking up. You are the most friendly person in blogland EVER! :) Have a great day! Thank you for hosting, Marty! Have a great day! i love that courtyard makeover. so pretty! thanks for hosting and have a fabulous day! I'm loving your party! Thanks for hosting. I hope to see you at our party. We love having you. Hi Marty! We do have the most talented bloggers and thank you for hosting your party. So many fabulous impressive DIYs I dont even know where to start!! Thank you for hosting the party, Marty. Can't wait until I get to check out some of these wonderful links! There's so many great links here Marty! I'm going to have to bring a snack along with me while I check them out! Marty, I always enjoy your party and appreciate you hosting! Marty, thanks for the fun party.